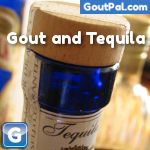 Tequila and gout is my review of how tequila affects gout. Especially compared to other alcoholic beverages. So, later, I will describe a small study showing the effects of tequila on uric acid. But first, I describe what tequila is for gout sufferers who are not sure. Tequila is an alcoholic drink, primarily distilled from blue agave, around the Mexican city that bears its name. It is listed in the USDA nutrition database under beverages, but not in the key foods list. Nutritionally, it is fairly unremarkable, and so despite its popularity, I will not be adding it to gout foods tables. There is very little research into tequila and none specifically about tequila and gout. However, one investigation of tequila is relevant, though it is more about increased risks of heart disease and diabetes. Is Tequila Bad For Gout? The short answer is no! But I really need to explain why that is the case. Also, you can see later that it is not wise to generalize. 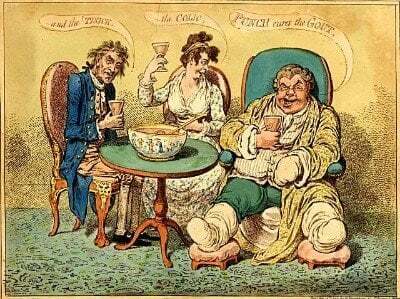 Because alcohol can have different effects on different gout sufferers. Depending on the state of your kidneys, the stage of your gout, and various other factors. So, let me briefly describe a study showing the effects of tequila on uric acid. Firstly, this is not a gout study, but it does contain some relevant data. The study only covers 8 people, and these were all healthy. Each man drank 30ml tequila for 30 days. The results reveal that uric acid fell slightly from 6 mg/dL to 5.6. However, such a small change has no real significance. Especially as the participants were not gout sufferers. If you are concerned about gout and tequila, it is very easy to test yourself. Arrange for a blood test for uric acid with your doctor. Stop drinking tequila for 4 weeks, then get retested. Ideally, you should repeat this, alternating between periods of drinking tequila, and avoiding it. Or, you might compare tequila with effects of other alcoholic beverages on your uric acid levels. You can also do this at home if you have your own uric acid test kit. If self-testing, you can select your own test period, but it should never be less than two weeks. Because you need to give your body time to adjust to your changes. Remember to maintain a similar diet during every test period. So that tequila intake is the only thing that changes. If you do this experiment, or if you have any other thoughts about tequila, please share in the gout support forum. Leave Tequila and Gout to browse the Gout and Alcohol guidelines. González-Ortiz, Manuel, Sara Pascoe-González, Angélica M. Kam-Ramos, and Esperanza Martínez-Abundis. “Effect of tequila on homocysteine, insulin secretion, insulin sensitivity, and metabolic profile in healthy men.” Journal of Diabetes and its Complications 19, no. 3 (2005): 155-159.